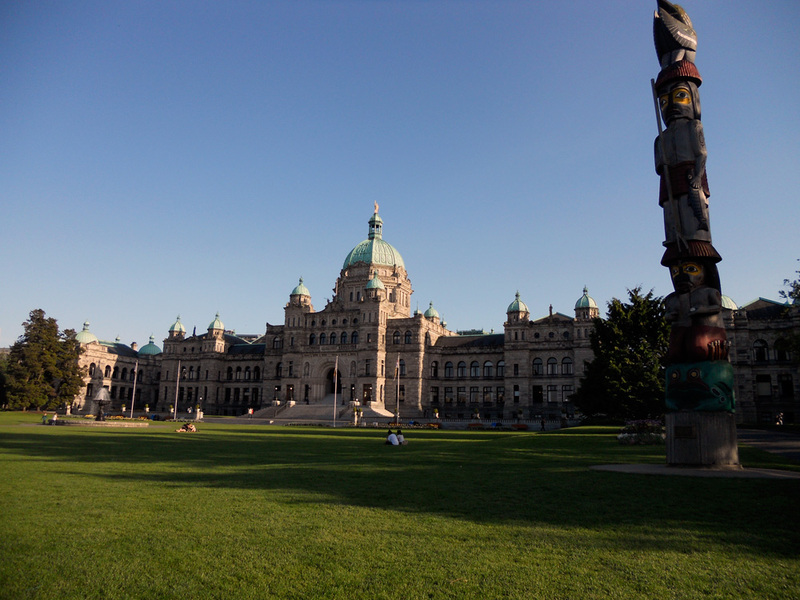 The lawn at the Legislative buildings, an inviting place to enjoy the evening. 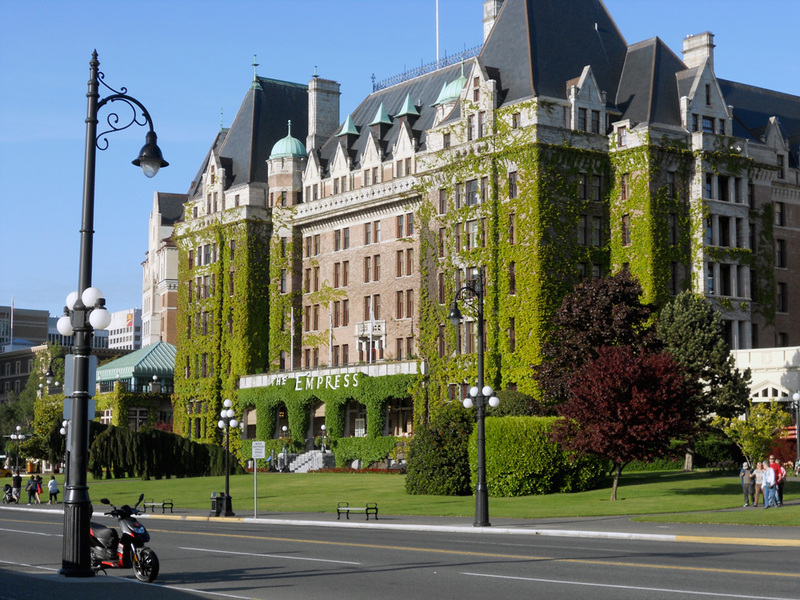 A new growth of bright spring-green ivy makes it way across The Empress Hotel. 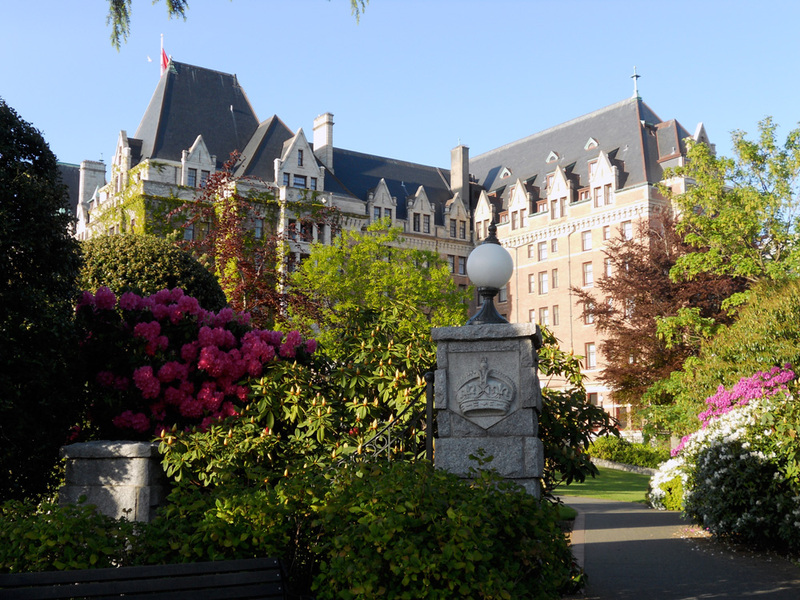 Another view of The Empress Hotel; beautiful rhododendrons all in bloom. 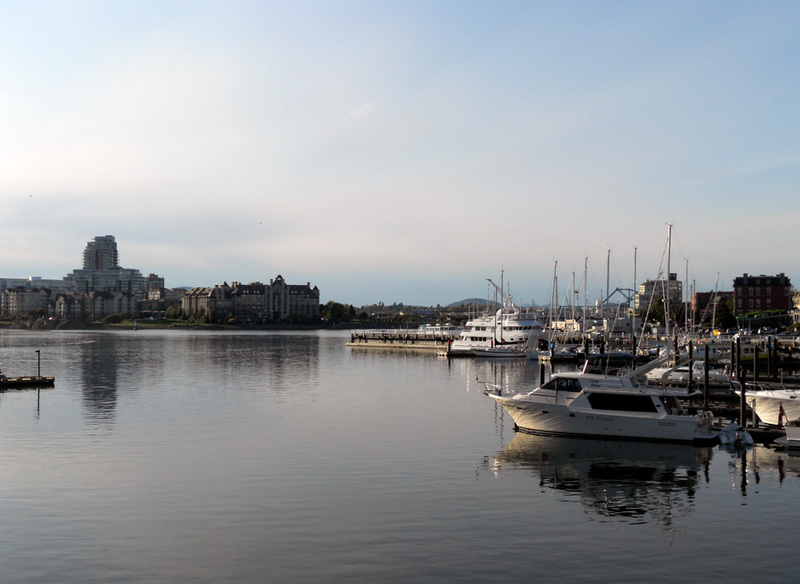 The cool evening mist beginning to arrive into the Inner Harbour.